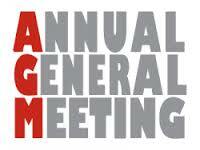 The committee wishes to formally advise members that the Annual General Meeting for 2016 will be held on Friday 15th of July starting at 8.00pm. The location will be the Reedbeds Community Hall, Phelps Court, Fulham. After the formal part of the AGM meeting, there will be a guest presentation by Rod Baker, VK5ZTV. Rod will speak about the technologies used to manage Adelaide’s road transport system. This will provide a fascinating insight into this very complex system. Visitors are most welcome. Doors open at 7.45pm and there will be a light supper after the presentations. If you need help finding your way to the venue, give VK5ARG a call on 439.900 via the Summertown repeater.